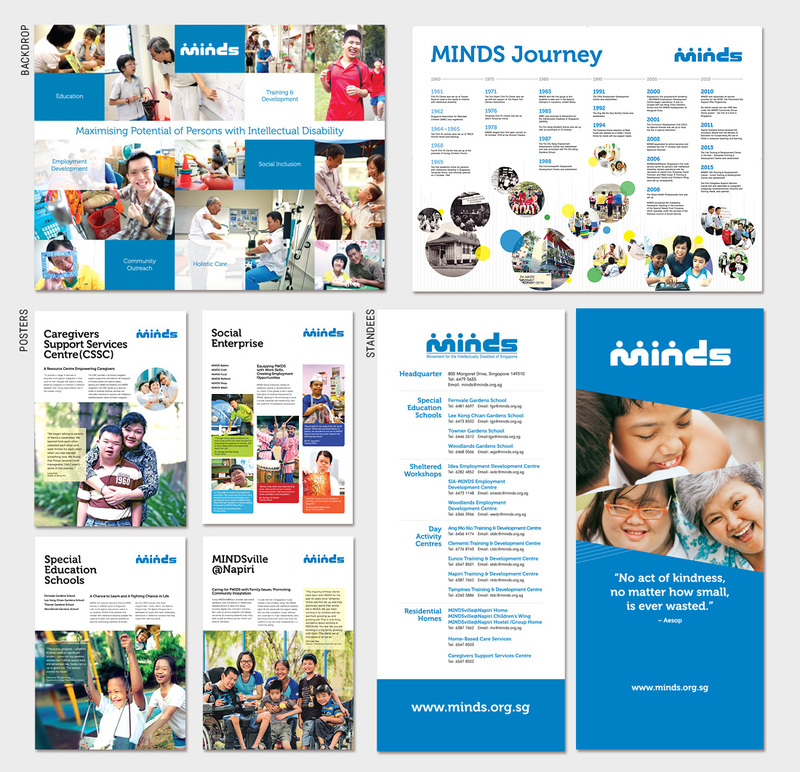 Movement for the Intellectually Disabled of Singapore (MINDS) approached us to design their exhibition displays with a two-week turnaround schedule. It has been an honor and pleasure working with MINDS, for their enduring work has impacted the lives of the intellectually disabled and their families for decades. We were glad that our work on the posters, backdrops and standees had garnered positive feedbacks and testimonial.